Celina Ottaway took a circuitous route to the kitchen, but it's paid off. The global influences of her life in business, journalism, and personal endeavors now show up in dishes for her Celina's Kitchen menus: Asian pesto, poulet creole, japchae. Together with chef Pierre Farvil, they're pulling together vibrant, rich flavors that reflect past experiences while looking ahead. 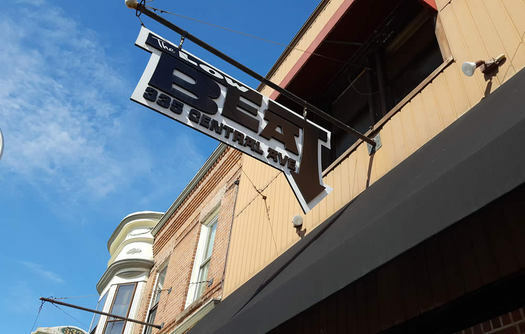 If you want to first hand taste of what they're cooking, your best chance is to bundle up and head over to The Low Beat on Sunday for the spot's latest pop-up brunch. Chef Josh Coletto brought The Low Beat into brunch prominence when he started the Rock N Roll brunch series, for which there were long lines and long waits. His take on brunch cuisine included chickpea pancakes with roasted carrots, salsa roja, cashew cream, and foraged watercress; cassoulet of chicken thigh, bacon, white beans and duck eggs; and morning poutines with the poached eggs, pickled beets and onion relish. Coletto has since left his perch in The Low Beat kitchen. (He laughs when asked about if he'll miss brunch. "I'm ready for dinner," he says.) And Ottaway began leasing the kitchen about a year ago, primarily for Celina's Kitchen, her private chef and meal delivery service that serves individuals in the Capital Region. The opportunity to showcase her food in the popular brunch format is a chance to promote her "flavor over cuisine" approach to food. 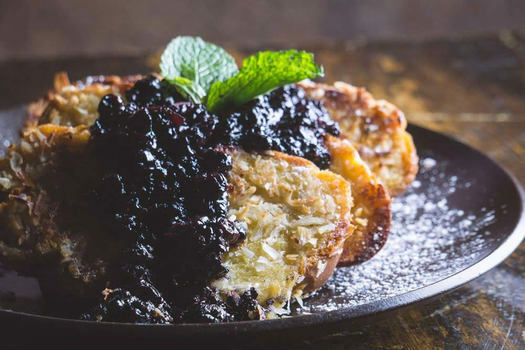 Island flavors and inventive takes on brunch classics reflect the world adventures both Ottaway and Farvil bring to the kitchen. Between the two of them, they speak a half-dozen languages, and menus for Celina's Kitchen and future The Low Beat food endeavors marry Farvil's Haitian background with Celina's time in Japan and elsewhere. "Big, bold, warm exciting flavors," is what Ottaway calls it, and she's found her cooking compatriot in Pierre Farvil, a Haiti-born chef who came on board to help Ottaway expand her business and the food program at The Low Beat. "Cooking feels natural to me," says Farvil, noting that everything else he thought about doing in life felt too forced to commit to. "It's not just about what's on the plate, it's about thoughts, intentions, and feelings. Everything should affect you one way or another." He says he uses a simple formula: quality plus simplicity equals greatness. That methodology and outlook results in blackened fish filets that are served with a coconut sauce spiked with habanero and orange juice, creamy yellow grits made with coconut oil and fresh herbs; tomato-braised okra sauces sweetened with carrots; gluten-free eggs Benedict on a yucca and plantain pupusa topped with chipotle hollandaise; and coconut-crusted French toast that feature fresh coconut shavings and a mixed berry compote. The coconut continues with a layered white cake made with coconut milk, sandwiched with lip-puckering homemade lime curd between layer, and a coconut cream cheese frosting that is fluffier that fair weather clouds and slightly tangy. Most of the dishes, says Ottaway, will run in the $10-$15 range. Caribbean juices -- watermelon is mixed with ginger and pomegranate, cucumber is punctuated with spicy peppermint -- are fresh pressed and will be offered in cocktails during brunch. None of this is to say good food is somehow new at The Low Beat. Owner Howard Glassman might be known as much as a champion of great music as he is for the burgers and hand-cut house fries he makes in the kitchen at lunch. "Howard's fries are some of the best I've had in the city," says Ottaway. And the food continues: Ottaway says she and Glassman have been discussing other pop-up ventures, like a mussels and steak frites night in the spring, and more brunches are likely. Ottaway has not completely stepped away from the writing world. While journalism (local readers might remember her from the Times Union and her blog) is mostly in her past, she continues to stay active in writing and editing. "I see my writing life and food life as still very entwined. One builds on the other. Right now I am doing the living that writing requires," she says. The Celina's Kitchen brunch at The Low Beat is Sunday, March 26 from 10:30 am-3 pm. It's cash only. A note of disclosure: Years ago AOA provided web hosting for Celina Ottaway's blog, and she's written for AOA once or twice. Also: both Mary and Greg have known Celina for many years. Editors: It's Sunday, March 26. Fixed. Thank you. Blame Greg. Does anyone know where Coletto is cooking?